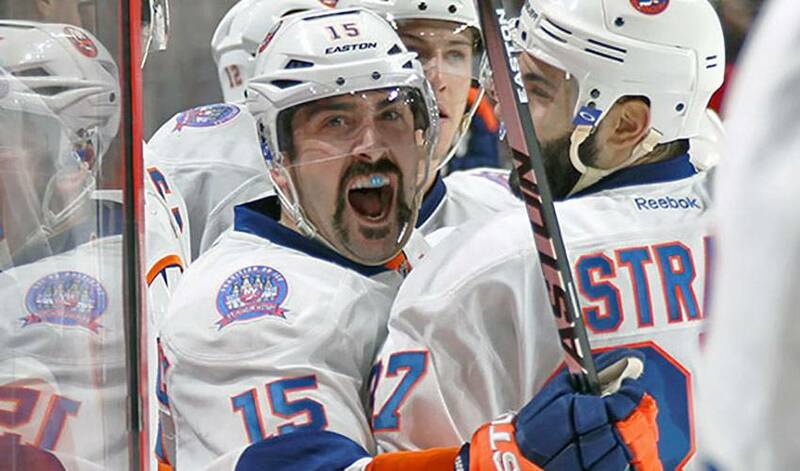 Cal Clutterbuck has always been known as a stand-up guy, the type of player and person who goes above and beyond what’s expected. Just like he did for a young kid and his family in Minnesota. Throughout his time in hockey, from his junior days with the Toronto St. Michael’s and Oshawa Generals, to the 540-plus NHL games he’s skated in, the New York Islanders forward has been committed to making time for others. Hospitals visits, charity events, community functions, autograph signings – Clutterbuck isn’t the type to need any arm-twisting to get involved. And, like his fellow players, it’s never about creating positive publicity. “I think hospital visits are unique because most of the time the people you are visiting have been going through really tough times,” noted Clutterbuck. “It's really unbelievable to see someone’s mood change so dramatically after seeing you and your teammates walk in the door. Just the five minutes of interaction allows them to focus on something other than what’s troubling them, which I think is a big deal. It’s not uncommon for players to stay in contact with some of the people they meet, something that Clutterbuck is certainly familiar with. Case in point, a family he met during his days with the Minnesota Wild. The two stayed in touch, each providing the other with updates on their respective lives. A hectic schedule, key divisional contests, pivotal games leading up to the playoffs – there is plenty on his plate these days. Even so, Clutterbuck will do as he has always has, to make time, (even it’s a brief interaction), for others.